Average 4.6 / 5 out of 25 total votes. Jiang Liushi , one day woke up and found the Starseed in his mind, a Black Technology which could assist him in various ways. Its most important function? Refitting and upgrading vehicles! [What? You thought it was a regular rundown minibus? Wrong! It was a Mobile Construction Vehicle (MCV) capable of massacring zombies, and everything that stood in its way, with its awesome weapons!] Follow Jiang and his MCV on their road to survival. 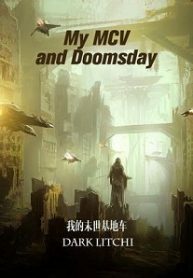 You’re reading Chinese web Novel “My MCV and Doomsday” on BOXNOVEL. Thanks!